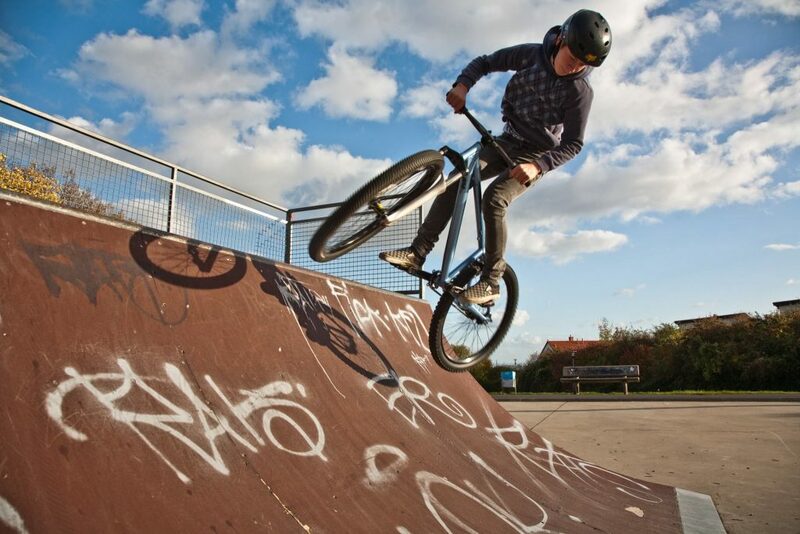 In this article we outline three important factors to consider before your BMX purchase. They include, what are BMX bikes – broken down for the layman. 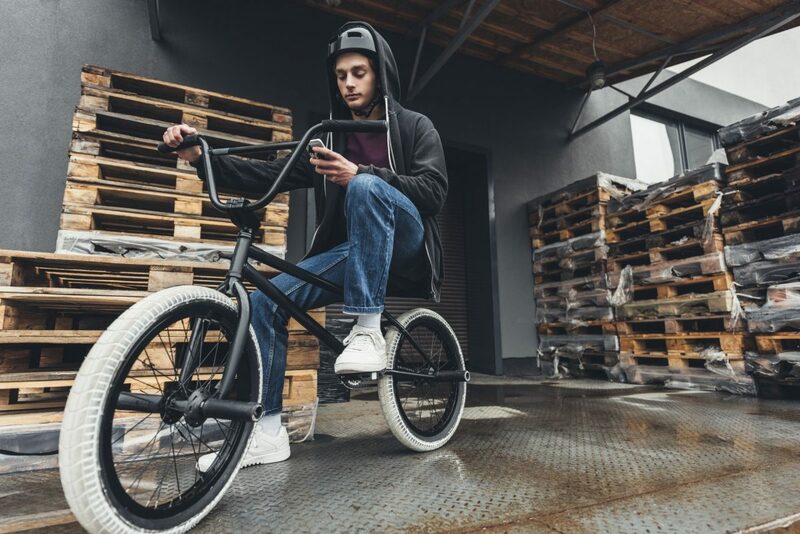 The difference between the types of BMX bikes for sale – including Park-style, Dirt-style, Flatland, and Racing style BMX bikes – and lastly, we provide our top three suggestions for the best BMX bikes for sale on the Bike Chaser platform. 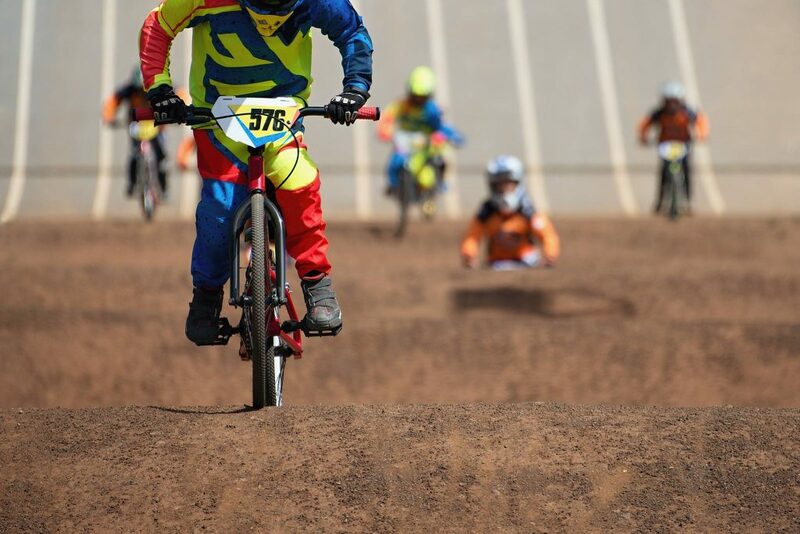 With origins dating back to 1970s, BMX bikes were initially intended for BMX (Bicycle Motocross) racing and have many things in common with petrol-powered bikes (sprint-style races on paved and dirt tracks). Since then these bikes have evolved into off-road sport bicycles for stunt riding and other forms of racing. BMX bikes are now generally known as racing bikes used in various racing disciplines, including BMX freestyle, dirt, park, street and flatland. Designed to handle stress associated with performing street stunts, skate parks and dirt jumps, freestyle BMX bikes are made using materials optimized for better manoeuvrability and strength. Racing BMX bikes on the other hand are optimized for acceleration and speed and use lighter materials. 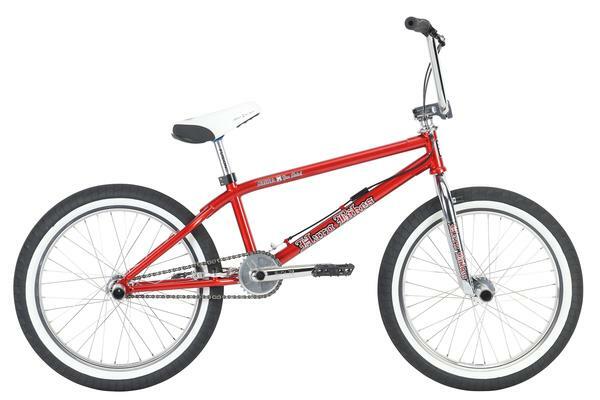 While frames of entry-level and racing BMX bicycles are made out of Chromoly 4130, the higher-end racing models come with aluminum (lightweight) or carbon frames (vibration dampening). The use of cassette hubs popularized BMX bikes due to smaller gearing. New BMX bikes use gearing such as 36/13, 30/11 and 23/8, which is quite small than 44/16 gearing used on older BMX bikes. Almost all new BMX bikes have similar gearing ratios of 2:8:1, making them more lightweight and providing better clearance when grinding. BMX bikes can be categorised by model types into five main categories. Some categories are known by different names e.g. trails/dirt bikes or vert/park-style bikes, but they mean the same thing. The primary emphasis of park-style BMX bikes aka vert bikes/skaters is to remove unnecessary weight. This is accomplished by reducing structural stress on different areas of the bike, making it more suitable for riding in skate parks. Many even prefer not to install brakes to further reduce the weight. Tires with thicker threads differentiate dirt-style BMX bikes from park-style bikes otherwise both are quite similar. Thicker threads offer better grip, making dirt-style bikes better suitable for loose surfaces, berms and dirt jumps. 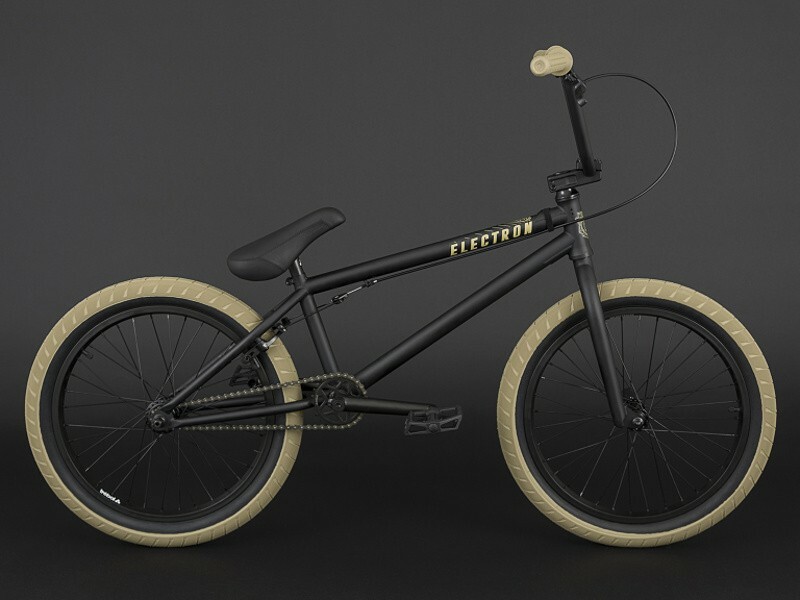 Flatland bikes incorporate various geometrical principles to park-style bikes for more precise balance, which is required in flatland racing. Flatland riding is a niche style and is also referred to as breakdancing (riders balance and pivot their bikes on flat and hard surfaces). 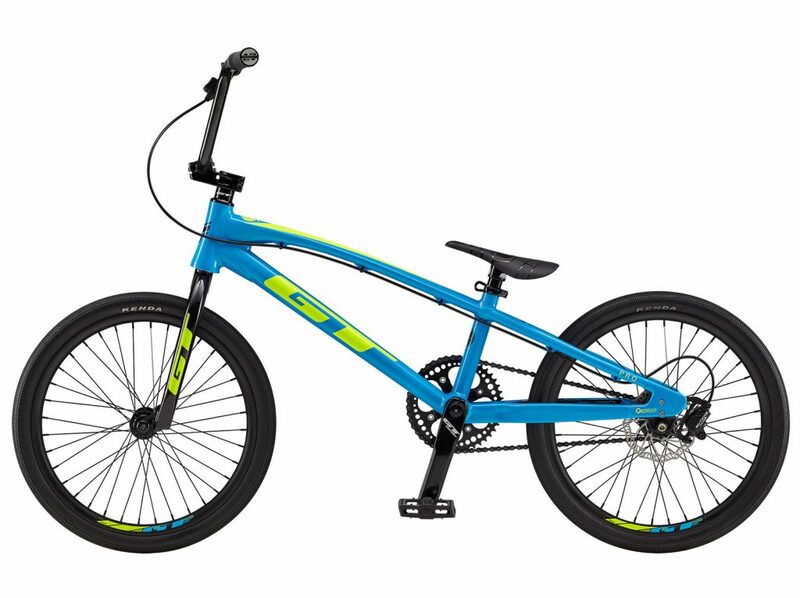 These bikes come with a larger front sprocket for a higher gear ratio, allowing riders to achieve higher speeds than other BMX bikes. These bikes are also required to have brakes due to higher speed and gear ratio. Racing-style bikes are not suitable for other styles as they are designed keeping hard-packed dirt/bitumen tracks in mind. From the skate park to the race track, the BMX bike certainly has a number of unique homes. These bikes mostly have metal pegs that are attached to axles, enabling riders to rail-grind. Street-style bikes are also stronger and heavier than other models of BMX bikes. That’s because they have to tolerate extra strain from flat and hard surfaces associated with street riding. These bikes are designed to enable riders to perform skilled tricks and turns and usually don’t have any brakes (so the brake cables don’t get in the way while riders are spinning the bard). Street-style riders have to use their feet to slow down or stop the bike (against back tire’s top). With so many choices available, it often becomes difficult to choose the right kind of BMX bike. That’s why we have only included the three most popular categories i.e. freestyle, race and street. Let’s have a look at our top pick from each category. Constructed using 100 percent chromoly Mirra Tribute frame, this bike was produced in limited numbers, which justifies the high demand. It was created to honour Dave Mirra, with a large amount of sales proceedings going to his family. It’s one of the most sought after freestyle bikes and is essentially a collectors bike. Quick-change dropouts and a race-ready geometry makes this racing BMX bike a great option for racing enthusiasts and prepares them for almost any condition. Designed for acceleration, the stiff and lightweight frame transforms every pedal rotation into momentum. The 6 pawl 72-point engagement of the rear hub ensures instant power transfer for racing, while Promax hydraulic disk-brakes (rear) provide the control racers need. The quick-change disc dropout system allows easily switching wheels according to different track conditions. This street BMX bike is designed for streets and local parks due to its lightweight design and a powerful drivetrain. Equipped with Trebol 2.35-inch tires and top tube length of 20.5-inches, Electron is designed to create a sweet ride without breaking the bank. It’s ready for a variety of conditions, including tracks and trails, thanks to compact geometry and a low standover-height.